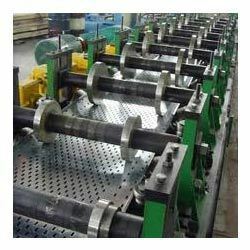 Exporter of a wide range of products which include roll forming machine for cable tray. We are offering our quality Roll Forming Machine for Cable Tray to our prestigious clients. Our all products made from superior quality of raw material and modern technology. These machines are situated all round the nation. The main differences are in the machine construction and in the production speed. Looking for “Roll Forming Machine for Cable Tray”?